Vitamins and Minerals 101 | Your Health. Your Lifestyle. Chances are, at one point or another throughout your life, your mother told you to take your vitamins. Mother was right (as mothers usually are) but chances are equally as good that your mother didn’t really know what vitamins are and how why they were good for you, only that they were something good for you that you should take them regularly. The truth of the matter is this: Despite the inundation of information in our society about the importance of taking vitamins, many of us still don’t really understand why it is so important to take them, or even what they really are. Gaining a better understanding of what vitamins are and why we should take them can help to shed light on why they are such an important part of healthful living. Vitamins occur naturally in whole foods. That is, they are naturally occurring substances that can be found in naturally occurring foods, such as fruits, vegetables, proteins and grains. They are organic substances that are absolutely crucial to the body’s ability to maintain essential life functions such as brain functioning, cardiovascular health, respiratory health and digestive health. What’s more, vitamins lend our bodies a helping hand in terms of preventing diseases. Unfortunately, the amounts of vitamins naturally occurring in food are small. Most of us don’t eat the kind of healthy, vitamin-rich, balanced diet necessary to give our bodies the full complement of vitamins it needs to function. For us to achieve that goal, we need to take vitamin supplements in addition to eating a healthy diet that is rich in many different vitamins. Vitamin supplements should be taken to augment, rather than stand in for, the vitamins we should be getting from a healthy diet. 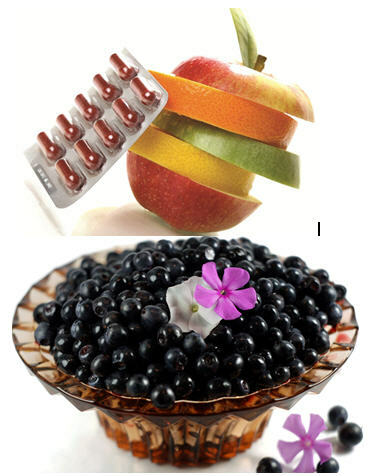 Some vitamins are water-soluble, such as vitamins C and B-complex. These supplements pass through the body quickly and should be taken every day for maximum benefit. Other vitamins, such as vitamins A, E, K and D are fat soluble and are therefore retained in the fatty tissues of the body longer. Fat soluble vitamins should not be taken daily, as there is a risk of taking too much. For the most part, however, the biggest risk where vitamins are concerned is the risk of not taking enough. Vitamin deficiencies can cause conditions such as rickets and pellagra, which are rampant among the poor sector of the Western world as well as many third-world countries, even today. Even before vitamins were the focus of scientific research in the early part of the 20th century, accepted folk wisdom said that certain foods provided certain health benefits to both humans and animals. Today, we know that it is the vitamins in our food that provide those health benefits. Vitamins are compounds, or substances in which atoms comprised of more than one element chemically bonded together. In the body, vitamins work with naturally occurring enzymes (which are charged with the job of accelerating chemical reactions in the body) to regulate metabolic processes. Metabolic processes are those processes that convert the food we eat into energy. Because vitamins do not provide energy without the help of enzymes, they do not in themselves constitute nutrition. Although the actual amount of vitamin mass the average person requires per day is very small (approximately 0.5 grams), it is imperative that one gets that amount daily to maintain optimal health and disease-fighting potential. Most animals are not capable of synthesizing or making their own vitamins without external influence. Most animals can produce vitamin C independently, but humans can not. Animals depend on the nutrition derived from plants, either by eating the plant directly or by consuming an animal who has eaten the plant. On the flip side, plants are autotrophic, which means they are able to meet their full nutritional requirements using only the sun, water and a few chemical compounds. Plants produce myriad vitamins, which are then consumed by the animals (including humans) who consume the plants. Remember, vegetables are plants! Vitamins: What’s in a name? The modern-day practice of naming vitamins with letters of the alphabet came into existence in the early part of the 20th century. As more and more vitamins were discovered, it became necessary to find a way to develop a nomenclature for them, and the alphabet was thought to be a useful and widely understood way of denoting vitamins. Why, then, isn’t there a vitamin for each letter of the alphabet? Scientists eventually discovered that some of what they thought were vitamins were in fact not, and so the letters use to denote those vitamins were removed from the lineup. Vitamin F is one such example. Not actually a vitamin, the substance that once was known as vitamin F is actually an essentially fatty acid. Other vitamin “letters” were eventually removed because the substances they denoted were found to be components of the B-complex, not individual vitamins. Examples of this include riboflavin, previously known as vitamin G. Today, the only remaining “vitamin letters” are A, B-complex, C, D, E and K.
Contrary to popular culture, fat isn’t always bad for our bodies. A certain amount of fat is vital to the body’s proper functioning. The problem is that most of us don’t consume the right kinds of fat. Healthy, unsaturated fats are good for the body, whereas saturated fats derived from highly processed foods can be very detrimental to good health. “Saturated” means that the gaps in in which a hydrogen atom could fit in a string of carbon and hydrogen atoms has been filled, making the fat firm (such as in shortening or butter. This is in contrast to an unsaturated fat that remains fluid at room temperature, such as olive oil. Saturated fats are very dangerous to the body because the body cannot effectively process them. A certain amount of natural fats are beneficial to the body. These fats help carry fat-soluble vitamins such as vitamins A and E throughout the body. These vitamins are deposited in the body’s fat cells. As previously mentioned, it is important to exercise moderation when taking fat-soluble vitamins so as to avoid an overdose. Dutch explorer Willem Barents and his crew were shipwrecked in 1596 and forced to endure an extremely trying winter marooned on the island of Novaya Zemlya, located north of Russia in the Arctic Ocean. They had been sailing from Holland in search of the Northeast Passage. The treacherous ice, however, made it nearly impossible to sail the northern seas. Barents and his crew were forced to survive despite mounting odds. Their ship was destroyed and the bitter cold was cruel. Many of Barents’ men were dying of scurvy, a disease caused by a vitamin deficiency, and from the cold. To survive, the men killed polar bears and ate their meat. They couldn’t have known that they were actually killed themselves by overdosing on vitamin A. Just one pound of polar bear liver contains about 450 times the recommended daily dose of vitamin A for an average human. Because polar bear was one of the only vitamins available, Barents’ crew were consuming many more times then recommended daily amount of the vitamin. As a result, they began to suffer the nasty effects of vitamin A poisoning, including joint pain, full-body skin peeling and liver disease. By the time spring – and the opportunity to leave the island – arrived, many of them including Barent were too weakened from vitamin A toxicity and were never able to make it back to Holland. Today, vitamin A deficiency is common developing countries but is very rare in developed countries anymore. One of the first signs of vitamin A deficiency is night blindness, or xerophthalmia. Severe deficiency can also lead to total blindness, as vitamin A plays a vital role in eyesight. It is estimated that approximately 250,000 to 500,000 undernourished children in the developing world go blind annually from vitamin A deficiency. Of those children, about half die within a year of going blind. Vitamin A deficiency also affects the body’s ability to fight infection. In countries where children are not immunized, infectious diseases that are commonly survivable in the developed world have high fatality rates. The right amounts of a variety of vitamins are critical to a healthy body and long life. Most of us don’t eat enough food in the run of a day to provide us with the right amount and variety of vitamins. Even a diet that is primarily comprised of healthful, vitamin-dense food doesn’t usually provide the recommended daily vitamin intake. To obtain optimal health and an immunity boost, most of us need to take vitamin supplements. Vitamins are essentially building blocks of good health and without them, we open ourselves up to being susceptible to a variety of conditions and diseases, many of which can be life threatening. To give our bodies the best chance of becoming and staying healthy we need to eat healthfully and intentionally, get regular exercise, good-quality sleep, and adequate amounts of both water-soluble and fat-soluble vitamins. Vitamin A is essential for the proper growth and development of bones and teeth, as well as for healthy skin and mucous membranes. Further, vitamin A helps promote good eyesight even in dim light and it can help to prevent the development of a condition called cataracts, in which the eye becomes clouded over, thus severely diminishing the affected person’s ability to see. Additionally, vitamin A can also help to ward off cardiovascular disease, a condition that can lead to heart attack and stroke. A deficiency in vitamin A is usually first characterized by a condition called “night blindness.” In this condition, the rods in the eye, which are responsible for allowing us to see in dim light, do not function properly. As a result, the affected person loses their ability to see when lighting conditions are dim. In severe cases of vitamin A deficiency, the affected person loses their eyesight altogether. Other symptoms of vitamin A deficiency include dry and scaly skin, as well as problems with the urinary system, improper growth of teeth and bones and issues surrounding the mucous membranes of the digestive tract. Amazingly, a healthy adult with a healthful diet can store up to several years’ supply of vitamin A in their systems, but children are of much more susceptible to a deficiency because they haven’t had a chance to build up a reserve. Good sources of vitamin A are meats such as liver, fish oils, egg yolks and dairy products such as butter and cheese. 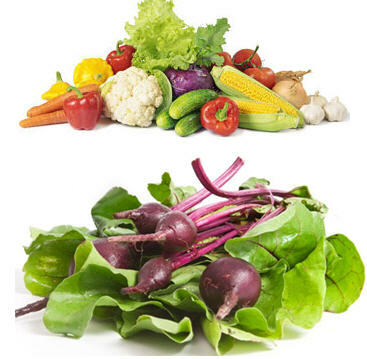 Dark green vegetables and yellow fruits and vegetables contain beta carotene, which is converted into vitamin A in the body before being absorbed by the body so, indirectly, these foods are also good sources of vitamin A. It would be difficult to overdose on beta carotene. This is because the body only converts as much beta carotene as it needs, and will not convert enough to result in toxic levels of vitamin A.
Vitamin D is comprised of two different substances. These substances are known as D1 and D2. For either of these compounds to be activated (or used by the body), they require the assistance of sunlight. This is where vitamin D gets its nickname, the sunshine vitamin. Provided one gets enough sunlight and consumes foods such as the yolk of an egg, fish such as salmon and milk that is fortified with vitamind D, it is nearly impossible to suffer a vitamin D deficiency. Some people will suffer from a condition called SAD, or Seasonal Affective Disorder. This condition is often suffered in the winter months in parts of the world where the hours of daylight are less during the winter. Vitamin D helps the body to use calcium and phosphorus to form healthy teeth and bones. Because of that, if a deficiency does occur, a bone condition known as rickets can result. Rickets is disfiguring and debilitating to the sufferer, causing the legs to become bowed and the wrists and ankles to become thicker. When rickets affects a child, it can cause their teeth to mature at a much slower-than-normal rate. Infants and children are the most likely to be affected by rickets, although with the proliferation of vitamin D-enriched baby formula and milk available today, the condition does not affect many children in the western world today. Prior to the Industrial Revolution, living conditions in English slums gave rise to widespread cases of rickets. Adults with a vitamin D deficiency are at risk of a disease called osteomalacia. This condition is caused by not only a lack of vitamin D, but also insufficient levels of calcium and phosphorus. Common in the Middle East and certain Asian countries, osteomalacia is characterized by rheumatic pain and a softening and deformity of bones. Treatment is the administration of vitamin D, calcium and phosphorus. As with all fat-soluble vitamins, there is a possibility of consuming too much vitamin D. Doing so can cause a variety of negative side effects. These include nausea, diarrhea, excessive weight loss, and joint pain. Excessive levels of vitamin D can also damage the kidneys and blood vessels as a result of calcium build up. Vitamin E is composed of not less than seven chemicals called tocopherols. It is found naturally in dark green leafy vegetables, plant products such as wheat germ, and most meats. The primary function of vitamin E is as an antioxidant. Antioxidants are charged with the task of counteracting the potentially negative effects that oxygen can have on the tissues of the body. Oxidation is a chemical reaction that can cause nasty effects in the body such as putrefaction and rotting of the tissues. Think of it this way: When a metal object gets rusty, that rust is the result of oxidation. That’s not something we want occurring in our bodies! Oxidation has been linked to premature aging of the body as well as conditions such as cancer, hard arteries, and certain types of arthritis. By all accounts, it appears that oxygenation works is that the oxygen molecules draw electrons to them and then extract these electrons from the membranes in the cells of the body. When this continues to happen, there is a slow but deliberate breakdown of the body’s immune system. We can see, then, how antioxidants are important in maintaining good health as they prevent this breakdown from happening. Vitamin E is especially important because it prevents oxidation from occurring in fats. Oxidized fats contain peroxide which is very detrimental to cells. Vitamin E is more likely to either severe or form chemical bonds than fatty acids, so the vitamin reacts rather than the fat, preventing the fat from having the chance to oxidize. The membranes of human cells are composed partially of fat molecules, so it is easy to see the important role vitamin E plays in the maintenance of a healthy nervous system. Healthy circulatory and reproductive systems require vitamin E, as to properly functioning kidneys, liver and lungs. Vitamin E is easily obtained from food sources. Therefore, very few people ever suffer from a deficiency of vitamin E. Typically, the only people who do suffer from a lack of vitamin E are those who do not consume any dietary fats at all. Symptoms of vitamin E deficiency include leg cramps and the presence of fibrocystic breast disease (in which lumps and cysts form in the breasts). Vitamin E deficiency has been linked to muscular dystrophy. It is therefore very important to consume adequate amounts of vitamin E but, as already stated, this is usually not very difficult. Much like vitamin D, vitamin K is actually composed of two groups of compounds – vitamins K1 and K2. There is a third K compound, K3, but that vitamin is a synthetic compound that forms the basis for the other forms of vitamin K. Vitamin K is present in many different kinds of plants. Good plant-based sources of this vitamin include dark leafy greens such as kale, swiss chard and spinach. Another good source of vitamin K is liver, for those looking for a meat-based source of the vitamin. Vitamin K exists naturally in the body. It is one of the substances made by the naturally occuring flora in the intestine, the “good bacteria” that assist the body in processing food through the digestive system. Vitamin K is important as it helps the body with blood clotting. It does this by aiding in the formation of prothrombin, a chemical produced by the liver. Typically, when a person suffers from a deficiency of vitamin K, it is not the result of something lacking in their diet. Instead, vitamin K deficiency usually stems from damage to the liver that prevents the body from processing the vitamin. Vitamin K deficiency is usually characterized by unexplained bleeding or large bruises that appear under the skin or in the muscles. This condition is rare amongst adults in the developed world, however sometimes newborn babies suffer hemorrhages in the brain as a result of insufficient levels of vitamin K.
Vitamin B is actually a complex that is comprised of approximately a dozen vitamins. These include vitamin B1 (also known as thiamine), vitamin B2 (riboflavin), vitamin B6 (also known as pyridoxine), and vitamin B12 (known as cobalamin). There are a few others B vitamins that are more well know by their names other than their “B numbers,” including niacin (which is vitamin B7) and pantothenic acid (which is vitamin B3). A popular prenatal vitamin, folic acid, is also a B vitamin but it does not have a B number associated with it. The same is true of biotin. Vitamin B1 is present in whole grains, nuts, legumes (such as peas), liver and meats like pork. It assists the body in making available the energy gained from carbohydrates so that the body can use it. More than 4,000 years ago, the Chinese described a condition of the nervous and gastrointestinal (GI) system that was characterized by nausea, mental confusion and fatigue. Today, we know this condition as beriberi, and we know that it is caused by a deficiency in a B vitamin called thiamin. Thiamin is present in the bran of rice and whole grains. When rice and grains are processed to produced white rice and white flour, for example, the bran is removed and, therefore, so is the thiamin. Products that are labelled as “enriched” have had the thiamin added back in while maintaining the soft texture and pleasing taste that can make consumers prefer white products over their whole-grain counterparts. As already mentioned, Vitamin B2 assists the body in releasing the energy it obtains from fats, proteins and carbohydrates. Good sources of this vitamin are whole grains, offal (such as kidney or liver) and dark green leafy vegetables such as spinach and kale. One of the hallmarks of a deficiency in vitamb B2 is skin problems. Vitamin B6 is critical in helping the body building tissue. In addition, it helps the body metabolize protein and synthesize hemoglobin, the pigment in red blood cells that is responsible for carrying oxygen to the body’s tissues and for removing carbon dioxide from the body. Deficiency in vitamin B6 can result in symptoms of depression, vomiting and nausea. Vitamin B12 is essential for optimal functioning of the nervous system and in the formation of red blood cells (see above for more information on red blood cells). This vitamin can be obtained from meat, fish and dairy. Deficiency in vitamin B12 can result in anemia, fatigue, nervousness, and degeneration of the brain’s functioning. Pantothenic acid helps the body release energy from fats and carbohydrates. Foods such as egg yolks, liver, whole eggs, nuts and whole grains are rich sources of pantothenic acid. Signs of a deficiency in it include anemia. Biotin, which is readily available from grains, liver and legumes, is essential in helping the body release energy obtained by carbohydrates and also in the body’s ability to form essential fatty acids. Insufficient biotin causes dermatitis, which is an inflammation of the skin. Vitamin C was popularized by American chemist and activist Linus Pauling. Pauling is a winner of the Nobel Prize in chemistry (in 1954) and for peace (in 1962). It was he who first put forth the idea that in high doses vitamin C can help to ward off the common cold. Going one step further, he purported that vitamin C was capable of offering protection against various forms of cancer, although this has not been proven conclusively by scientists to this day. However, studies do suggest that there is a link between adequate levels of vitamin C and reduced risk of some kinds of cancer. Many animals can synthesize vitamin C in their livers. It is here that the body converts glucose (a type of sugar) to ascorbic acid, or vitamin C. This is not the case with monkeys, Indian fruit bats and humans. These four species must obtain vitamin C from their diets, from sources such as citrus fruits, berries and vegetables such as peppers and tomatoes. Vitamin C is easily oxidized or destroyed, making it a very fragile vitamin that can easily be destroyed by inadequate storage or by processes such as soaking fruits and vegetables in water for extended periods of times. In the early days of vitamin study, scientists focused on water-soluble vitamins. Prior to the actual discovery of vitamins in the early 20th century, it was common knowledge that certain foods contained substances necessary for good health. The work of Scottish physician James Lind brought about a pivotal point in the history of vitamins when, in the mid-18th century, he did work on a vitamin deficiency conditioned that was threatening the merchant and military navies of England at the time. During that time, England was consider the world’s leader in terms of its sea power. Her Majesty the Queen’s sailing crews were even at the mercy of a condition known as scurvy. Crews who had been at sea too long started to experience symptoms of scurvy such as joint swelling, bleeding gums, loose teeth and poorly healing wounds. Modern scientists attribute scurvy to a vitamin C deficiency, but in Lind’s time the concept of vitamins wasn’t yet known. Unaware of the importance of vitamin C-rich foods, sailors survived on a diet that was primarily salted meats and hard tack. Although these items were practical for being stored on long sea journeys with no refrigeration, they provided none of the vitamin C needed to stave off scurvy. It was in 1746 when Lind, a ship doctor, made a breakthrough. He noticed that 80 of the 350 seamen aboard got scurvy during a 10-week journey. By way of experiment, he took 12 of those sailors who had contracted scurvy and divided them into groups of two. He administered to all but one pair different substances such as nutmeg, seawater and vinegar. The final pair were given oranges and lemons. Dr. Lind observed that the pair who had been given the citrus fully recovered in just one week and he concluded that citrus fruits were effective in the treatment of scurvy. It was a medical milestone! It would take another fifty years, however, before the British navy would adopt Lind’s techniques. After long advocating for the adoption of Lind’s techniques, Scottish doctor Sir Gilbert Blane was finally able to persuade the navy in 1796 to adopt a practice of giving each sailor a daily ration of citrus to ward off scurvy. It is interesting to note that at this time the term “lime” was collectively used to describe both lemons and limes and it was then that the term “limey” became common slang for British sailors. 1897, the Dutch government commissioned doctor Christiaan Eijkman on a government commission to the Dutch East Indies. That country (which is now known as Indonesia) had been experiencing an outbreak of beriberi, characterized by symptoms like fatigue, loss of appetite and tingling the legs. Eijkman noticed that the birds on which he was experimenting had paralysis and polyneuritis, similar to humans with beriberi. Because he was not authorized to feed the birds the white rice table scraps from the hospital’s dining hall, he instead fed them brown rice and observed something amazing. The birds began to be able to move again, and experienced no return of their paralysis. Pellagra is a condition caused by vitamin deficiency associated with poverty. Those afflicted with pellagra often suffer from symptoms such as diarrhea, dermatitis and even dementia. The condition was first classified in 1762 when a Spanish physician named Gaspar Casal wrote about a condition he called “mal de la rosa,” or red sickness. He called the condition this because of the redness on the back of the sufferer’s neck that was caused by the dermatitis that characterizes the condition. Casal observed that the condition was linked to poor eating habits, but his theories did not catch on for many years. Popular belief in Casal’s time was that the condition was the result of an infection. It wasn’t until the 19th century that an American physician named Joseph Goldberger studied the unusually high occurrence of pellagra in poor Blacks and Whites in the southern United States. Goldberger, a member of the U.S. Public Health Service, observed that pellagra resulted from low levels of niacin. Niacin is necessary for the body to be able to release energy obtained from glucose. Good sources of niacin include whole grains, meat, fish, and dairy products. Corn is not a good source of niacin and, unfortunately, this comprised a major part of the diets of the people who were suffering from high rates of pellagra. Goldberger made the connection between diets that are heavily based in corn (and therefore lacking in niacin-rich foods) and the prevalence of pellagra. Goldberger’s theory held true for the populations of Spain and Latin America, as well. The people of those regions also ate corn-based diets that relied heavily on dishes such as tortillas and polenta. Corn products such as tortillas in Latin America and grits in the Southern United States were big parts of the cuisines of the people in those parts of the world because they were readily available, inexpensive and filling. The downside of a corn-based diet, however, is that it does not provide essential levels of niacin. We know today that corn does in fact contain niacin. The problem is this: Because corn molecules are large and fibrous, the niacin cannot be accessed by the body unless the corn is pre-treated with an alkaline solution such as lime water. This scientific breakthrough is one example of the body of knowledge that has come from the work out Polish-American biochemist Casimir Funk. Funk was the first to use the term “vitamine,” in 1912. The term was a combination of the Latin for “life” (vita) and a derivation of the word “amines,” a group of chemicals to which Funk believed these substances we now call vitamins belonged. The “e” was dropped from the spelling when it was discovered that not all vitamins did in fact belong to an amine group. Fast-forward to Stephen Spielberg’s 1987 film Empire of the Sun. In that film, one character asks another if they believe in vitamins. The question is indicative of the relative newness of vitamins during the time in which the film is set, World War II. In the wake of the war, vitamins began to be produced commercially for the middle class. In the 1950s and 60s, commercially produced vitamin C found were very well received by the general public. Today, vitamins supplements are big business. What remains disputed is the importance of taking vitamins as a supplement to a healthful diet. Nutritionists insist that we can get adequate amounts of vitamins from food sources only. Alternative medicine advocates, on the other hand, purport that we cannot get adequate vitamins for optimal health from food alone. They further contend that the guidelines for daily allowances of vitamins put forth by the U.S. Food and Drug Administration do not provide sufficient levels of vitamins for an average person. According to the American Dietetic Association (ADA), nutrient needs come from a variety of foods derived from a variety of sources – not from vitamin supplements. The ADA does, however, concede that there are some segments of the population who do need an extra boost of certain vitamins and minerals, such as women who experience anemia from unusually heavy menstrual bleeding, and expectant mothers who require extra doses of calcium, iron and folic acid. In Western society today, most consumer food products are required to be labeled with information about the nutrition they provide, including what vitamins they include, the quantity in which they can be found in the product, and the percentage of the recommended daily allowance of those vitamins the product provides, usually per serving. In most of our homes one can find all manner of vitamins in a variety of forms. Many of us have the notion that more is better when it comes to vitamins, and although that can be true in many cases, in many others it is not. Vitamins are organic substances that are necessary in only very small amounts for normal growth and development. In the 18th and 19th centuries, information about three diseases emerged that linked these diseases to the quality of one’s diet. Scurvy was shown to be cured by consuming citrus fruits when a ship’s doctor divided afflicted sailors into groups and administered different food rations. Only the pair of sailors who received rations of citrus fruits were cured. In the mid-1700s, pellagra was associated with a primarily corn-based diet that did not feature heavily meat products or milk. A condition known as beri-beri, which was prevalent in Asia in the 19th century, was linked to the diets of workers who consumed mostly white rice that had had the husks removed by new machinery. Similarly, chickens who ate processed rice developed a nerve abnormality with symptoms similar to those exhibited by humans who had similar diets. At first, it was assumed that the chickens and the workers had both consumed some sort of toxin that had been introduced to the rice either in the cooking or in the processing. Eventually, it was shown that by consuming rice from which the husks had not been removed, the symptoms were cured. This was groundbreaking because it was one of the first times in scientific history that it became understood that a condition could be caused by the absence of something in the system. Previous to this discovery, it was believed that diseases were only attributable to the presence of something harmful, such as a toxin, in the body. Vitamins and dietary supplements are a much debated topic. Below is a discussion on some of these and their use in the general well being of a normal individual. A commonly recommended vitamin especially for combating the common cold. It is recommended to be taken as a preventative but if one can already detect the beginnings of a cold coming on then it is recommended to increase the usual dosage fourfold. This may not stop the cold but will reduce the symptoms and duration by inhibiting virus replication. (Johnston, 2001). In addition it is a potent antioxidant and in the synthesis of collagen. There is epidemiological evidence to indicate that vitamin C taken as a dietary supplement reduces the risk of myocardial infarction. This is not backed up by large studies which don’t isolate or indicate that vitamin C as a dietary supplement has any significant effect on cardiovascular health risks (Kushi et al., 1996). The human doesn’t create or extract Vitamin C (ascorbic acid) thus the diet is crucial for obtaining vitamin C in the body. There is also a documented affect in the absorption of non-heme iron which is significantly enhanced by ascorbic acid probably because the acid reduces the ferric Iron to ferrous iron. Recommended daily allowance is 90 MG for an adult and 75 mg/day for adult female. During pregnancy and breastfeeding these change somewhat and should be checked properly.. throughout pregnancy the RDA is 85 mg/day, and 120 mg/day throughout lactation. The upper limit guideline is 2g per day based on stomach problems if more than that is consumed as a supplement. Fruits and vegetables, especially citrus, tomatoes and potatoes provide the vast majority of the Vitamin C the body needs. Many processed foods have it included as an antioxidant. This is very common and widespread in many foodstuffs, as the name Geek word “Pan” – (all over, many) indicates. It is essential as it cannot be synthesized by the body. Pantothenic acid is essential in many of the bodies metabolic functions including oxidative metabolism, cell membrane formation, cholesterol and bile salt production, energy storage, and activation of some hormones (Miller et al., 2001). It is very uncommon to come across humans suffering from a pantothenic acid deficiency as it is found in many different common foods in sufficient quantities. There are various claims made of the use of this in a few health issues such as cholesterol reduction, easing rheumatoid arthritis and hair graying. Insufficient evidence exists to back these claims up. However there is no evidence that there are any contra indications to taking it as a supplement. (Miller et al., 2001). Rich food sources incorporate chicken, beef, liver, and additional organ meats, whole grains, potatoes, and tomato products. Ones normal diet will more than deliver 5g of Pantothenic acid. It is worth noting that processed food lose a great deal through oxidation and thermal lability. Biotin is a coenzyme in the synthesis of fatty acids, isoleucine, and valine, and it plays a role in gluconeogenesis.. Biotin is necessary for cell growth it also assists in the tranferrence od Carbon Dioxide and is known to be helpful in maintaining the blood sugar level. It is also a strengthener of hair and nails and as such is found in many cosmetics and shampoos and conditioners even though it cannot be absorbed other than orally. There is no real RDA for biotin as deficiency is rare even if some metabolic disorders due to biotin insufficiency are known. Biotin is distributed widely in usual foods. Those rich in biotin incorporate egg yolk, liver, and some vegetables. It is estimated that individuals in the United States consume between 35g and 70g of Biotin daily. Humans can synthesize sufficient quantities of choline for normal requirements therefore it is not regarded as an essential nutrient It is a water soluble essential nutrient and usually grouped with Vitamin B complex. The cation appears in the head groups of phosphatidylcholine and sphingomyelin, two classes of phospholipid that are abundant in cell membranes. Choline is the precursor molecule for the neurotransmitter acetylcholine which is involved in many functions including memory and muscle control, plasma cholesterol, and homocysteine levels. Choline functions as a precursor for phospholipids and acetylcholine, and betaine.. Choline and choline-containing lipids, mainly phosphatidylcholine, are abundant in foods of both plant and animal origin. Rich sources are muscle and organ meats and eggs. There is an acceptable intake of 550mg for Men and 425mg for women, this changes during pregnancy and lactation. There is an upper limit of 3.5G set due to the possibility of low blood pressure. Eyesight and one’s immune system as well as cellular differentiation are all dependant on active forms of Vitamin A. It is however abundant in the food sources generally consumed. Provitamin A carotenoids are freely abundant in dark fruits and vegetables. Vitamin A helps regulate the immune system, which helps prevent or fight off infections by making white blood cells that destroy harmful bacteria and viruses. Vitamin A also may help lymphocytes (a type of white blood cell) fight infections more effectively. Vitamin A promotes healthy surface linings of the eyes and the respiratory, urinary, and intestinal tracts . When those linings break down, it becomes easier for bacteria to enter the body and cause infection. Vitamin A also helps the skin and mucous membranes function as a barrier to bacteria and viruses. The more one consumes the lower the absorption it appears although if one consumes oil or plant matrix material with these carotenoids absorption in fact increases again as bile production is stimulated. Recommended dietary allowance for men is 900 Fish oils, liver, and supplementary organ meats., whole milk, butter, and fortified margarine and low-fat milks are all rich in vitamin A. Carrots and dairy products are the major contributors of vitamin A to the diet of most Americans. It is an important regulators of calcium homeostasis. The biological effects of vitamin D are achieved only by its hormonal metabolites, including two key kidney-produced metabolites: 1,25(OH)2 vitamin D and 24,25(OH) vitamin D. In addition to its function of calcium metabolism, It hasbeen identified that vitamin D plays an significant role in cell differentiation and growth of keratinocytes as well as cancer cells and that it participates in the procedure of parathyroid hormone and insulin secretion (Bouillon et al. 1995). Vitamin D3, is produced from the provitamin, 7-dehydrocholesterol, found in the skin under the stimulation of ultraviolet (UV) irradiation or UV light. Vitamin D2 is a synthetic form of vitamin D that is produced by irradiation of the plant steroid ergosterol. There has never been a great need to dictate the quantity of Vitamin D necessary as comes from sunlight. And not a great deal of sunlight is required. Possibly as little as 3 x 20 minute exposures to the face and hands a week. However in winter in many part of the US there is less than optimal exposure and so a supplement of 200IU/day is recommended. Avoiding life-threatening hypercalcemia, an upper level (UL) for vitamin D has been set at 2,000 IU/day (50 2 vitamin D for handling of hypoparathyroidism, vitamin D-resistant rickets, renal osteodystrophy, osteoporosis, and psoriasis opens the door for potential toxicity as this form of the vitamin is much further toxic and the body’s metabolic controls are bypassed. When this medication is being secondhand, careful monitoring of plasma calcium concentrations is obligatory. Salt-water fish are good unfortified sources of vitamin D. Small quantities are derived from eggs, beef, butter, and vegetable oils. Vitamin D is often found as an addition to milk, butter, margarine, cereals, and chocolate mixes to assist in meeting the dietary requirements. Vitamin E (also called tocopherol) is discovered in cell membranes and fat depots. Due to their chemical structure, of eight stereoisomers of each of the tocopherols. In addition to each of the stereoisomers, each occur in alpha, beta, gamma, and delta forms (FNB, 2000). It inhibits polyunsaturated fatty acids (PUFA) from oxidation which are extremely sensitive to oxidative damage, and the protective role of vitamin E is supported by a similar antioxidant protection from vitamin C and selenium. One tocopherol molecule can protect 100 or more PUFA molecules from autoxidative damage (Pryor, 2001). Biological activities of vitamin E are given in the older international units (IU) or alpha-tocopherol equivalents (alpha-TE). There are many forms of vitamin E in plants and available synthetically, the relative activities of each form is complex. Existing evidence indicates that vitamin E from natural sources has approximately twice the bioactivity in humans that the all-rac (synthetic) vitamin does (Burton et al., 1998). The food and Nutitional Board recommends a UL of 1000mg/day. The word niacin simply refers to both nicotinamide and nicotinic acids. These coenzymes, which are the prominent forms of niacin within the body, are all used by the body’s tissues, and are synthesized as they are needed. The amounts of niacin found in the body are the simple result of the body’s absorption of nicotinamide as well as nicotinic acids, and the conversion of tryptophan in the body as well. Sixty milligrams of tryptophan is equal to one milligram of niacin, according to Horwitt, et al., 1981. When there is too much niacin in the body, it is excreted through urination. Pellagra is the typical manifestation of niacin deficiency, and has been most often seen in areas of the world where corn is a dietary staple. Corn is low in niacin and tryptophan, and fortification and enrichment of corn and corn products has virtually eliminated the appearance of pellagra in the United States and Europe. The recommended daily allowance of niacin for adult men is 16 milligrams per day, and is 14 milligrams per day for women. In pregnant women, the recommended daily allowance is 18 milligrams per day of niacin, and for lactating women is 17 milligrams per day (FNB, 1998). Niacin in the form of nicotinic acid is available in doses from 4 to 6 grams per day, and is one of the oldest drugs available for use in the treatment of hyperlipidemia. Hyperlipidemia is a condition that is consistent with elevated levels of triglycerides and cholesterol in the blood. Niacin has been found to lower low-density lipoprotein, also known as LDL cholesterol and triglyceride concentrations in the body. The effects are not seen with nicotinamide, only nicotinic acid. Some side effects of nicotinic acid in a therapeutic dose will cause headaches and flushing in some people, but the side effects are not harmful. The maximum limit for niacin has been set at 35 milligrams per day for adults, if it is ingested from a supplement, not natural food. However, individuals who choose to take over-the-counter niacin for self-medication may exceed the maximum limit very frequently. The upper limits, or UL, are not intended for application for anyone receiving niacin as a prescription. Natural, dietary intake of niacin is found from meat, poultry, fish, enriched whole-grain breads, and fortified cereals. Large amounts of niacin are naturally found in liver, legumes, red meat, milk, eggs, cereal grains, yeast, alfalfa and fish. Vitamin B6 is a coenzyme and accounts for more than 100 enzymes that are involved in the metabolism of glycogen, nerve tissues and amino acids (FNB, 1998). A decrease in hemoglobin synthesis, known as microcytic anemia can also be found in the same niacin deficient states whose primary diet consists of corn and corn products. The interaction of folate and vitamin B6 is shown to reduce the concentration of plasma homocysteine and decreases the chances of cardiovascular disease risk (Rimm et al., 1998). Those that have very high intakes of vitamin B6 and folate have twice the possibility of reduction in their cardiovascular disease risk as those who were in the group of the lowest intakes of the same supplements. In the 1970s, there was extensive discussion about vitamins B6 associated with women using oral contraceptives. Although this was probably due to the hormonal stimulation of tryptophan catabolism versus a vitamin B6 deficiency, because at the time the studies were performed, concentrations of estrogen were 3 to 5 times higher in oral contraceptives than they are today. This likely lead to an extraordinary number of women suffering from vitamins B6 deficiency, because of the increased number of women who chose to begin taking oral contraceptives in the 1970s. The recommended daily allowance for vitamin B6 is 1.3 milligrams a day for adult men and women both up to age 50. Over age 50, it is 1.7 milligrams a day for men, 1.5 milligrams a day for women, and for pregnant and lactating women, the recommended daily allowance is 1.9 and 2.0 milligrams per day, respectively (FNB, 1998). There are no adverse side effects recorded that are associated with ingestion of vitamin B6 from food. However, a large dose of pyridoxine that is used by doctors to treat premenstrual syndrome and carpal tunnel syndrome has also been associated with onset of sensory neuropathy (Schaumburg and Berger, 1988). These findings were discovered in individuals taking a dosage of 2 to 6 grams per day, and the risk of sensory neuropathy development decreases significantly when the dosage is below one gram per day. Thus, the maximum limit for adults is set at 100 milligrams per day of vitamin B6 in the form of pyridoxine. Natural food sources of vitamin B6 include meat, fish, poultry, white potatoes, starchy vegetables and non-citrus fruit. Other excellent sources are whole-grain products, other vegetables, nuts and meats. Folate is a B vitamin that also exists in a variety of chemical forms (Wagner, 1996). Folic acid is the most stable form of folate available, and rarely occurs in natural food sources. However, it is used as a supplement to fortify food products, and folate coenzymes are involved in a variety of reactions in the body including DNA synthesis, purine synthesis and metabolism of amino acids. The most common is the conversion of homocysteine to methionine, which reaction reduces the concentration of homocysteine in the plasma, and has the possibility of reducing the risk of cardiovascular disease (Rasmussen et al., 1996). The metabolic relationship between vitamin B12 and folate could explain why a deficiency in either will lead to the same hematological changes. In both vitamin B12 and folate deficiencies in the body, megaloblasting changes occur in bone marrow and other replicating cells. Pregnant women are at particular risk or folate deficiency, because of the increased demands placed on the body from increased DNA synthesis within the unborn child. Low folate is often associated with low birth weight, fetal growth retardation and poor pregnancy outcome (Scholl and Johnson, 200). In addition, women who are capable of becoming pregnant should consume 400 milligrams per day, in order to counteract the possible occurrence of neural tube defects during the preconception period. Recommendations for folate intake are totally dependent on bioavailability variations, as supplemental folate is nearly 100% absorbed, while folate absorption of the body from folate in foods is only about 50%. Fortified foods increase the level of bioavailability of folate in supplements, which has led to the term Dietary Folate Equivalents. As such, dietary recommendations for folate intake are based on these folate equivalents. No adverse effects have been found from consumption of folate-fortified foods. The risk of neurological effects from vitamin B-12 deficiency has been covered up with excess doses of folate, which caused the Food and Nutrition Board to set an upper limit. The upper limit for adults is 1000 milligrams per day. Folate is found in nearly every natural food, and cooking or processing may destroy its occurrence. The highest folate content foods include liver, yeast, organ meat, fresh green vegetables and some fruit. Most dietary intake of folate in the US comes from fortified breakfast cereals, followed by beans and peas, both fresh and dried. As of January 1, 1998, all enriched cereals, pasta, flour and rice must be fortified with folate, 1.4 milligrams per kilogram of grain. Vitamin B12 is a compound known as cyanocobalamin. Cyanocobalamin is the only vitamin B12 preparation found in supplements. The body requires an adequate supply of vitamin B12 for normal neurological function and blood formation. The body’s absorption of vitamin B12 is dependent on a variety of physiological steps. First, in the stomach, food that is bound with vitamin B12 is dissociated from other proteins in the presence of stomach acid. Vitamin B12 will then combined with proteins, and in the intestinal tract vitamin B12 will bind with intrinsic factor to assist in absorption. If there is not enough stomach acid or intrinsic factor in the intestine, malabsorption will occur and cause the condition known as pernicious anemia. Pernicious anemia, or the deficiency of vitamin B12 in the body, is indistinguishable from the same deficiency of folate. However, pernicious anemia is completely reversible by the addition of vitamin B12 to the diet. Up to 30% of people over the age of 50 have been estimated to have atrophic gastritis combined with low stomach acid secretion. In addition, older adults may also have a decrease in absorption of B12 from foods, due to this low stomach acid secretion. Therefore, it is highly recommended that vitamin B12 be consumed by adults over the age of 51 years, and obtained from vitamin B12 from either fortified foods or additional supplements. Vitamin B12 is present in every form of animal tissue. However, it is not present in plants, and does not occur in fruits or vegetables. In the United States, it is customary for individuals to partake in large amounts of animal tissues, so vitamin B12 intake from food is often adequate. However, individuals who avoid eating animal products will likely benefit from an over-the-counter supplement, or through other vitamin B12 fortified foods. Most people are familiar with vitamins. They know that vitamins are essential to good health and that vitamins come from various sources. What they may not know is the long, interesting history of how vitamins were first discovered or how these powerhouses of nutrition actually work. One of the first scientists to take an interest in vitamins was Frederick Gowland Hopkins. He was a British biochemist who later won the Nobel Prize. His discovery of note was that young animals failed to become healthy even though those animals were fed a diet of what was then supposed to be a well-balanced diet. In other words, something was missing. That missing link, so to speak, was later found to be vitamins. The word itself came into being back in 1911 and was coined by a biochemist named Funk. He came to two conclusions; one which was correct and the other which was wrong. His correct conclusion occurred when he was able to isolate dietary constituents which were vital, he suggested, to good animal health. His error came when he suggested that these constituents were amine and therefore chemical in nature. In those early years, all of these constituents fell under the broad banner of Vitamin B. It was not until the 1920’s that this broad label was changed as it was discovered that Vitamin B was, in fact, a whole array of substances. This began with the discovery of Vitamin B1, which was vital in curing the dreaded disease of beri-beri. As time went on, other B vitamins were isolated and identified. William Castle, an American physician, is noted for his work on B12 and how B12 was vital to health blood cell production. His work linked the vitamin with gastric secretions which were necessary in order for the vitamin to be effectively absorbed. His work helped to explain the causes behind pernicious anemia. In 1932, Vitamin C was identified and found to be an effective solution for treating (and preventing) scurvy. It was also discovered that its effectiveness was greatly reduced by heat. This vitamin is also known as ascorbic acid and it was the very first of the vitamins to be artificially produced. While all of this was going on, other studies were being conducted on certain fish oils and egg yolks. It was known that certain factors in these substances encouraged healthy growth. This was later coined Vitamin A. The vitamin that proved an effective cure for preventing rickets was identified as Vitamin D. By the 1940’s, the major vitamins had been identified and their purposes were fairly well known as well. It was during this time, World War 2, that many governments began to add vitamins to food in order to better protect their people. During this, juices and other drinks for infants and children were also fortified with various vitamins. Many people, even today, still do not know that the vast majority of vitamins cannot be produced naturally within the body, with the one exception of Vitamin D which occurs through exposure to sunlight. Vitamin K and A can also be made within the body but they need the ingestion of certain vegetables in order to do this or through certain growths of bacteria within the gut. Even though vitamins are named by letters, such as Vitamins B, A, C, they are best understood as either fat soluble or water soluble. The class that a vitamin falls into depends on several factors including where they came from, how they are absorbed into the body, how they are stored and how they are eliminated. Within the water soluble group are the vitamins C and the entire B group. In simple terms, C is needed for collagen synthesis. This is vital to proper connective tissue growth as well as repair and maintenance. The B vitamin group works as it forms co-enzymes. These are vital for a variety of enzyme-dependent cellular processes. This group is responsible for DNA synthesis, proper utilization of nutrients, and is also important for respiratory health and for its energy-releasing processes. It should also be noted that folic acid and B12 are essential for red blood cell formation. The vitamin B12 is unique in that it requires certain factors that are found through secretions by various glands into the stomach in order for it to be properly absorbed. It can only be obtained via animal sources. As for the fat soluble vitamins; they are A, D, E, and K. The meaning behind fat soluble is simply that they come from fats that are a part of our diets and they can be stored in fatty tissue. They can also have actions on human cells as they are dissolving within the lipid cell membranes. As one might imagine, poor nutrient or malnutrition can lead to deficiencies of these vitamins. However, there can be other causes as well such as liver disease. It is also possible to have too much of these vitamins which can be toxic if left unchecked. It is possible to also suffer from vitamin deficiencies in other ways, but most of these problems can be solved by taking the vitamins that are lacking. Older people and alcoholics are often seen to suffer from certain deficiencies as well as those who live in poverty. On the other side is the debate on whether or not taking supplemental vitamins is beneficial or as beneficial as consumers are told they are. Much research has been done on this topic and the jury is still out in some cases. One issue that seems to have gained some ground is the use of antioxidant factors as found in the vitamins A, C, and E. It has also been suggested through research that folic acid and B12 may play a major role in protecting individuals from certain types of heart disease. To illustrate how a vitamin deficiency can occur in modern times, one need only look at the vitamin Thiamin. A thiamin deficiency is commonly found in those who suffer from chronic alcoholism. This is one of the vitamins that require large dosages in order to achieve only a small percentage of absorption. It is easily removed from the body through urination. Those who drink to excess often have poor diets, and it very common for chronic alcoholics to have decreased vitamin levels across the board. With increased urination, the loss of thiamin is much more significant than with those who do not drink to excess. When all of this is added together, it is easy to see how alcoholics can suffer from this particular deficiency. This deficiency is also known to occur in women who are carrying more than one fetus and in women who are nursing heavily. Some of the more common food sources for thiamin include lean pork, legumes, and whole-grain products. Thiamin is not found in fats, oils, or refined sugars. It is also not found in significant quantity in milk, seafood, vegetables, or fruits. Thiamin deficiency is just one form of vitamin deficiency. Any of the other vitamins, if not available for use in recommended levels, can also lead to health issues. Some of the more famous issues include scurvy and beri-beri, to name two health problems that most people have heard of at some time. Both of these health problems were common during long sailing journeys in the past when sailors did not have access to fresh fruits, vegetables, or milk products. Once canned food became available the occurrences of these problems fell off significantly and are now all but unknown except for in the most impoverished countries. While deficiencies can lead to health problems, it is also important to understand that over-dosages of vitamins can also lead to problems. For example, there is no current hard evidence that taking large amounts of Vitamin C protects people from the common cold or aids in their recovery once they have symptoms. It has been shown however that over-dosing on C can be dangerous to health and should be avoided. Generally speaking, vitamins do not provide any source of significant energy, but they do act in a variety of ways that helps promote good health overall. Some vitamins act as co-enzymes while others act as antioxidants. The A and D vitamins act as hormones. While the vitamins work in different ways, they also work in harmony when it comes to keeping the human body running smoothly and in good health. For this reason it is imperative that individuals get all of the vitamins (and at the suggested levels) on a daily basis. This will action will keep the vitamin levels within the body balanced. Information concerning the Recommended Daily Allowance (RDA) for all of the vitamins is readily available. For most individuals, the RDA provides individuals with the necessary levels of vitamins that they need on a daily basis. There can be exceptions to these levels in certain individuals, but that determination should be made by a qualified medical professional. As noted above, over-dosages of vitamins can lead to health issues and should be avoided unless specified by a health professional. Can cravings be a sign of Vitamin and Mineral Deficiency? How to Get the Vitamins You Need?